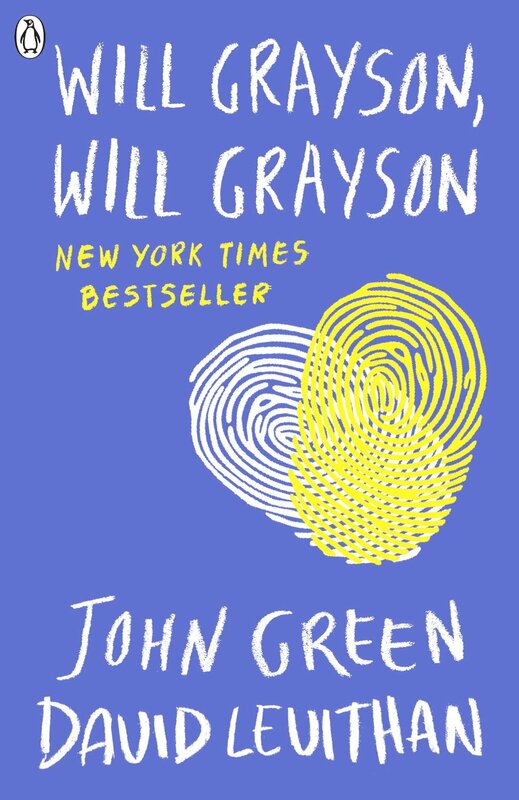 Will Grayson, Will Grayson is the story of two Will Graysons who meet by chance one night in Chicago. Their lives collide in the most unexpected of ways and it leads to romantic turmoil, misunderstandings and one massive school musical. A collaboration between YA heavyweights John Green and David Leviathan, the two points of view alternate and are very easy to tell apart. But despite the title, this book is not about either of the two Will Graysons. It is about Tiny Cooper. 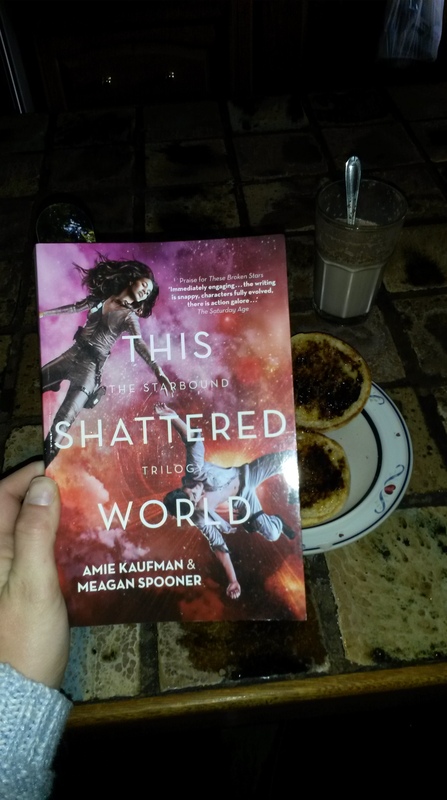 This Shattered World is everything I wanted These Broken Stars to be – and more. In the places that These Broken Stars didn’t deliver enough for me, This Shattered World far exceeded any expectations. One of those super big positives was that This Shattered World is not about Lilac and Tarver, though I was curious to know what had happened to them, I couldn’t deal with Lilac’s voice again. In This Shattered World we are on the planet Avon where we meet Captain Jubilee Chase, an absolute badass soldier leading her men to maintain the peace on Avon, which is far behind the other planets in terraforming and is also home to The Fury, which sends people crazy. 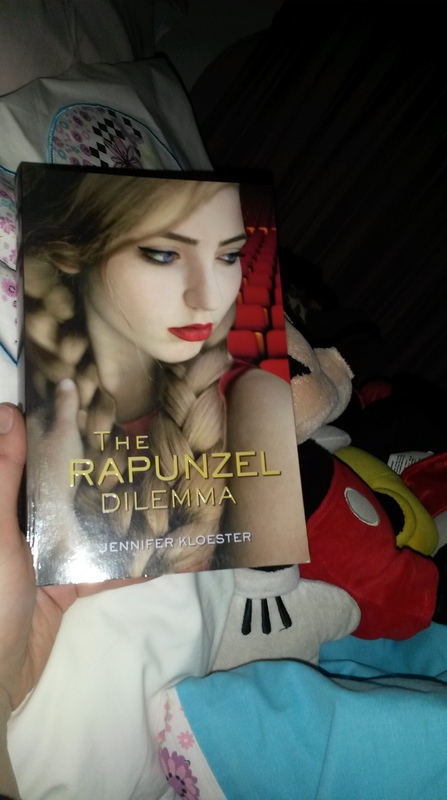 When she crosses paths with Flynn Cormac, the leader of the peaceful rebellion known as the Fianna, he kidnaps her to find out about a secret facility that seems to have appeared overnight. Neither of them could have known what this would lead to, but it is just the beginning of a sequence of events that’s about to change the world they live on. Underneath my favourite reading tree! 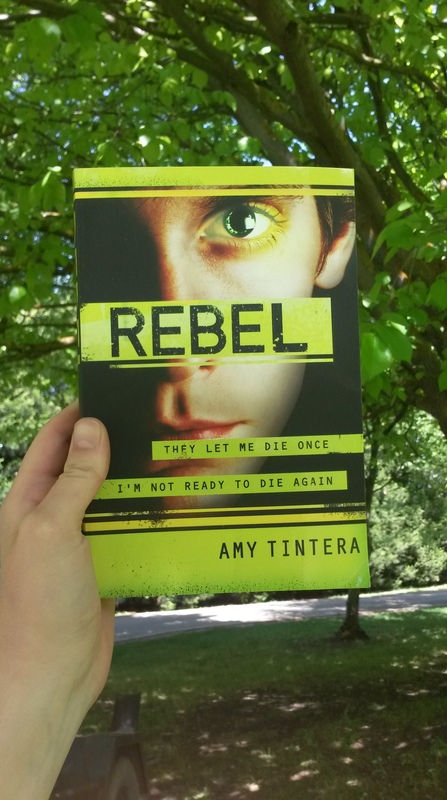 The exciting conclusion to the Reboot duology, Rebel doesn’t disappoint. We meet up with Callum and Wren moments after Reboot finished, standing in front of the entrance to the Reboot Reservation. They have escaped HARC and Wren particularly just wants to lay low for a while. She’s had enough of the hunting, the fighting, the killing. She couldn’t give a damn about what everyone else is doing, she just doesn’t want to be a part of any of it anymore. But when its revealed that the leader of the Reservation has a plan to take down all of the humans, Callum wants to stop him and protect the people. Wren wants to get out. The two are going to be at odds with each other while also struggling to work out what’s wrong and what’s right, in the middle of a war. 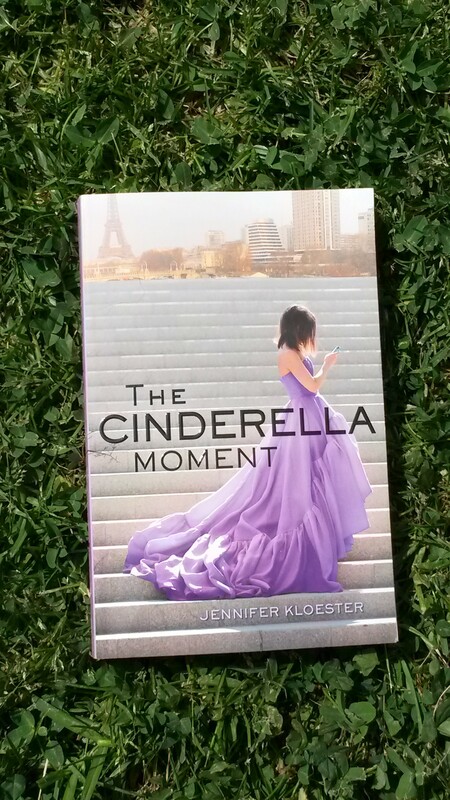 I read one outside on the grass, the other curled up in bed! exchange for an honest review. Love this cover but…is my photo crooked? this book in exchange for an honest review. 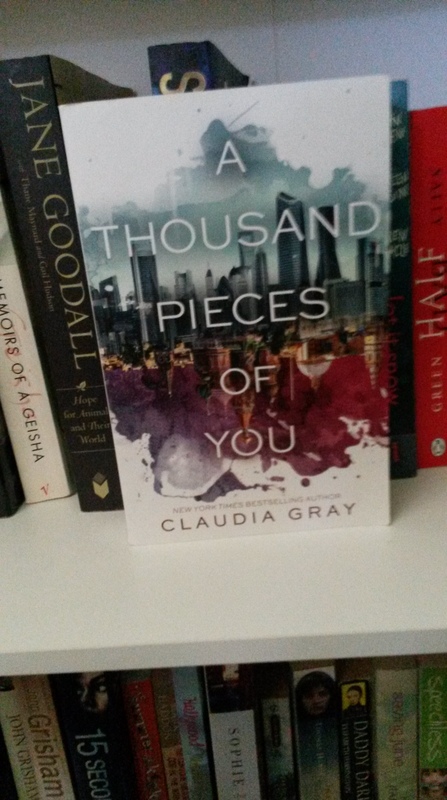 A Thousand Pieces of You took me longer to read than expected, but it’s not the book’s fault – in a mad dash for a train the book and I were separated and it landed ungracefully in the carpark. Luckily my boyfriend, who had dropped me off, was able to go back and rescue it, but as a result the book and I were separated for a few days. Though I was a bit iffy about it I was glad to be reunited. providing this book in exchange for an honest review. I’ve never seen Stephen Chbosky blurb anything. Maybe he has and I just haven’t come across them. But when I saw his recommendation for Lessons I was encouraged by it and decided to request it on Netgalley. What I learned from this is just because I adore Stephen Chbosky’s book, that doesn’t mean we’re going to have the same reading tastes. I don’t know what else he likes to read, but we definitely don’t agree on this one. 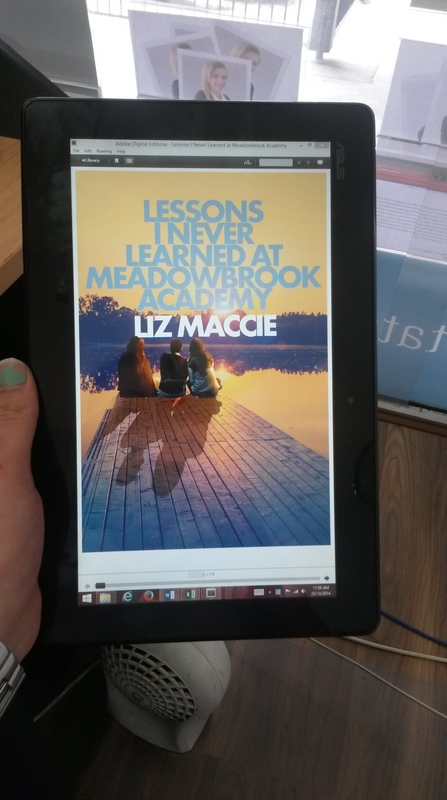 Due to a series of misdemeanours and the influence of a bad friend at her local high school, Roberta Romano’s parents have pooled their resources to send their daughter to the elite Meadowbrook Academy where they hope she will get her act together. She does not want to go. Over the course of her first day, where she is surrounded by the kids of the wealthy, Roberta must handle her own insecurities about fitting in. Along the way she makes friends with Annie and Mervin, who each have their own problems. The whole story takes place over that first day. 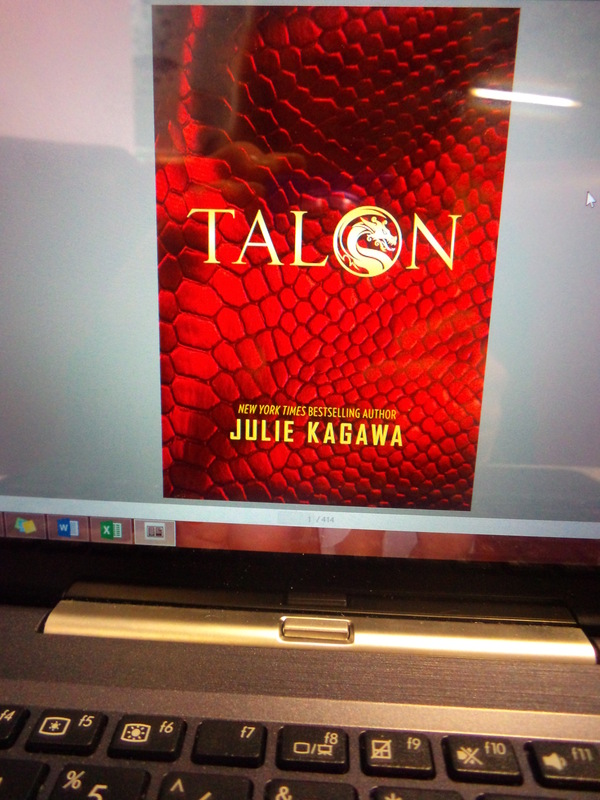 Fantasy meets the contemporary world in Julie Kagawa’s latest series, Talon, telling the story of the dragons who live in secret among us, having Shifted into human forms. Ember and Dante Hill are rare brother and sister hatchlings who have finished their training at Talon, the organisation that keeps tabs on dragons and what they do, and are learning to assimilate into human society – a Californian beach town where they learn to make friends, surf and live as ordinary teenagers. But there is trouble brewing (isn’t there always), with the posting of soldiers of the Order of St. George, the only humans who know of the dragons’ existence, right nearby. As their training continues, Ember is faced with difficult questions about who she is and the organisation she is a part of, aided by Riley, a dragon gone rogue trying to convince her to do the same. But going rogue is dangerous and she could jeopardise everything – including her developing relationship with a human boy who has secrets of his own.